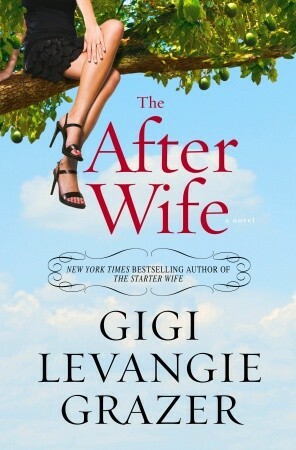 I had yet to crack one of her novels, but Gigi Levangie Grazer has been continuously making me giggle with her hilarious Facebook and Twitter updates, so when the opportunity presented itself, I snatched up The After Wife without even knowing what it was about. I frequently read novels without a clue to what lies within when I am familiar with an author, or sometimes I just plain forget because so much time has passed since agreeing to review a novel and then receiving it and finally reading it. Also, I kind of like the surprise, and detest spoilers. That said, I really wish I had read the synopsis on this one first or had picked it up at a different time in my life due to several recent losses in my family, but maybe there isn't ever a good time to read about losing the love of your life and being made a widow at such a young age. I wasn't disappointed though, Levangie Grazer's humour translates well into fiction, even with the depressing subject matter. She somehow entices some small chuckles which become guffawing laughter as the novel progresses and I found this novel reminiscent of Jonathan Tropper's How To Talk to a Widower in that they are both able to find humour after a certain point in their situations, probably because they are able to laugh at themselves. The main difference between the two novels is that with The After Wife, we are privy to the loss as it occurs, not months later, and Levangie Grazer handles this gracefully and is equally adept at showing Hannah's devastation which is palpable and heart-wrenching. Being thrown right into Hannah and John's love affair straight from the first page was refreshing to read as so many novels are about spousal angst and some stories about heroines dealing with losses only leads to uncovering secrets, deceit and transgressions. None of this is present in this novel. Their love is tender, sweet and real. I blushed a few times at their tenderness and affection and even more so at their attraction. I really loved this about the novel. And it really made John's death all the more tragic and heart breaking. I enjoyed Hannah's quirky cast of friends and even though slightly predictable, I still enjoyed the ride. I do wish we had seen a bit more of her daughter though. I will definitely seek out more from Levangie Grazer!